There’s plenty of news this week from the PR team at Perception Sales & Marketing with new seasonal breaks in Scotland. The Isle of Eriska, Hotel, Spa and Island has just launched an exclusive collection of relaxing autumn breaks. 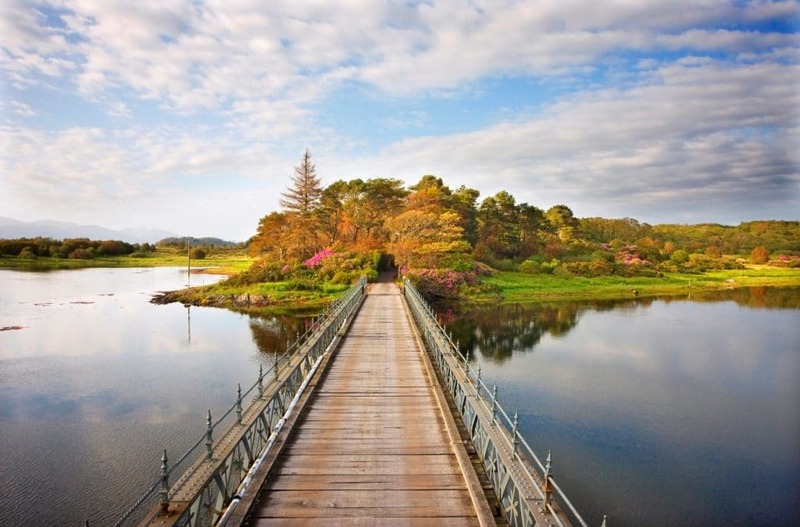 Set in 300 acres of breathtakingly beautiful private land, the five-star Isle of Eriska is a haven of peace and tranquillity. Conveniently situated just two hours north of Glasgow, the resort is part of the prestigious ICMI portfolio. Named the Hotel Management Company of the Year at the 2017 Scottish Hotel Awards, the ICMI family boasts some of Scotland’s best known small luxury hotels, including Inverlochy Castle, Cromlix, Greywalls and Crossbasket Castle. Indulge in a Winter Weekend with Spa Package at the luxury hotel. Priced from £699 per Standard Room, the package is available on Friday/Saturday and Saturday/Sunday only and includes five-star accommodation, a mouth-watering full English breakfast and a specially designed three-course à la carte dinner in Eriska’s gourmet restaurant, led by Head Chef, Conor Toomey. Also included is one 30-minute treatment per person in the state-of-the-art Stables Spa. Guests can choose between a Hot Stone Massage, Reflexology or Back, Neck and Shoulder Massage. Guests can relax and enjoy a Winter Spa Break for Two at the stunning resort. Priced from £369 for two people sharing a Standard Room, the package includes breakfast, a three-course à la carte dinner and one 30-minute pampering treatment each. Launched in July 2015, the Stables Spa offers ESPA treatments in its two luxurious treatment rooms with statement baths, showers and stunning sea views over Loch Linnhe. Treatments on offer are Back, Neck and Shoulder Massages, Hot Stone Massages or Reflexology. Ladies looking for a blissful winter escape can take advantage of Eriska’s indulgent Winter Ladies Pamper Package. The package costs from £479 per Standard Room and includes luxury accommodation, a full English breakfast and a sumptuous three-course à la carte dinner in the hotel’s restaurant. Guests can relax and enjoy a Manicure, Back, Neck and Shoulder Massage and a 30-minute Facial. Also on offer this Winter is a fantastic package with amazing value for money. Guests booking a night’s accommodation in either the Spa Suites or Hilltop Reserves from £410, will enjoy the second night for free. The package includes a full freshly cooked English breakfast and is available Sunday to Friday only. Only guests that book dinner for each night of their stay at the time of booking will be eligible for this offer. The resort is renowned for its home-grown and locally foraged food, artfully prepared by Conor Toomey, formerly of Amberley Castle. Eriska is home to a wealth of wildlife including otters, red deer and golden eagles and guests can enjoy a leisurely stroll on the island’s remote beach or one of its many walking trails or savour a glass of local whiskey in the warmth of the hotel. All packages are fully pre-payable at the time of booking, non-cancellable, non-changeable and non-commissionable. Facilities include a 9-hole golf course; indoor sports hall with tennis courts; croquet lawn; gourmet restaurant; Deck Restaurant with stunning sea views; and the Stables Spa. The Stables Spa was launched in July 2015 and has a brand-new state-of-the-art luxury thermal suite with sauna, steam room and mud Rasul room. In addition to this, there are two luxurious new treatment rooms with statement baths, showers and stunning sea views over Loch Linnhe; as well as a new Life Fitness Gymnasium. ESPA and Ishga treatments are available.